Investigators believe that a Russian couple knocked their victims out with sedatives, then skinned them alive. Afterward, police say, they ate parts of their victims, froze the remains or packed them in jars filled with saline solution. At times, the couple tried to turn soldiers at the military academy where they worked into unwitting cannibals, slipping "canned human meat" into their food. And people in the city of Krasnodar may never have known about any of it if not for a cellphone lying on a city street, authorities say. 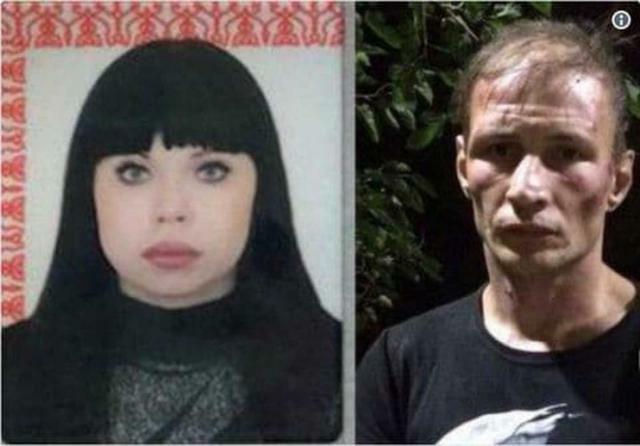 City police have arrested the couple - Natalia Baksheeva and her husband, 35-year-old Dmitry Baksheev - who authorities say may be responsible for the deaths or disappearances of as many as 30 people in the city of 750,000 in the southwestern tip of Russia, about five hours from Sochi. So far, Baksheev has been charged with one count of murder, and the investigation is ongoing. If all the killings are confirmed, the couple would rank among the country's worst serial killers. The investigation started Sept. 11, according to the Moscow Times, when crews repairing a road found a discarded cellphone. It still worked, so they swiped through the photos. What they found made them dash to a police station. On the phone were "photos of a man with different parts of a dismembered human body in his mouth," the Russian Ministry of Internal Affairs said in a statement.